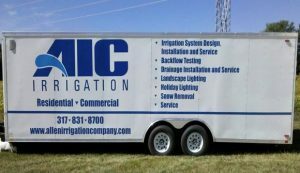 We provide high quality services of irrigation installation, irrigation service, landscape lighting, holiday lighting and snow removal. It is important that you feel informed and confident in the decisions you make with Allen Irrigation Company. Browse through our site and if you find that you have questions or would like to talk with us about the services we can provide for you, please contact us. We’re happy to help. Owner Nic Allen has years of experience as a golf course superintendent and has equipped his company with a well-prepared and knowledgeable staff. 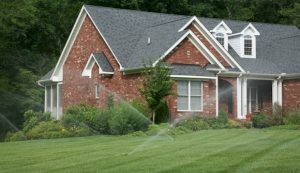 With a sprinkler system from Allen Irrigation Company, you can be assured that you are getting the very best. We are committed to providing you the best service in the business and we stand behind our products. We will be there when you need us whether you are in need of a repair or our scheduled maintenance. We look forward to earning your business and trust. When it comes to lighting, we take the time to make sure that you’re getting what you want. 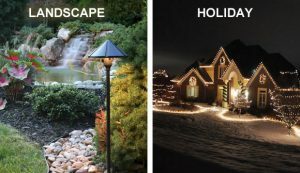 Our lighting service includes landscape lighting as well as holiday lighting. Whatever your need, we have you covered. One thing is certain: snow will arrive and, while it makes for a beautiful sight, it still needs to be removed to promote safety and easy travel. 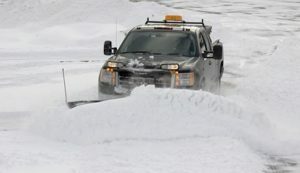 We provide snow removal services for residential and commercial properties including sidewalks, drives and salting. Allen Irrigation Company (AIC), located in Mooresville, Indiana was established in 2001. Nic Allen, President, served as a golf course superintendent for several years where his experience taught him proper installation, repair and operation of irrigation systems, experience that later guided him when he ventured out on his own with the start up of his new company. The company uses only commercial grade products in all of its installations. Over the years, the company has rapidly grown from a one man operation to several crews and supporting vehicles and equipment covering much of central Indiana. intersection with SR 144 and another at the intersection with Morgantown Road. AIC donated irrigation equipment, installation and maintenance for a renewable ten year period with the Town of Bargersville.